Fine-tune your teaching of writing. Join other educators who put students center stage. 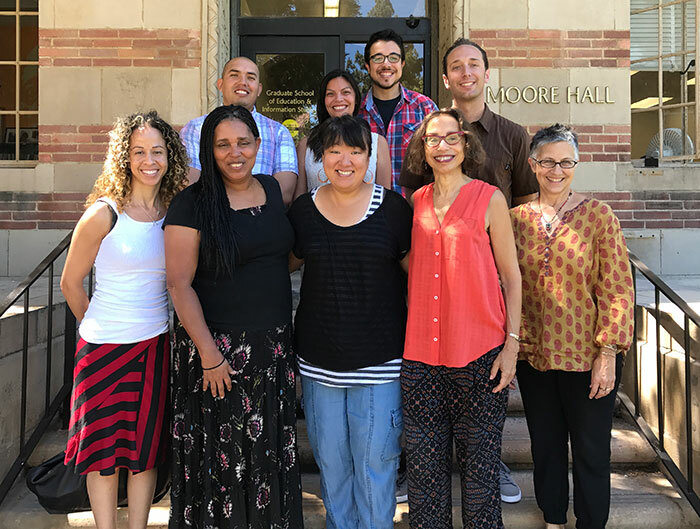 The UCLA Writing Project invites you to apply for our Summer Invitational Institute where you’ll demonstrate successful teaching practices, gain an overview of K-university writing, and develop your own craft. We’ll explore “what happens when” students draw on their full linguistic repertoires — in school. We’ll focus on culturally sustaining pedagogy and other issues of social justice. And as a UCLA Writing Project fellow, you’ll be among the teachers we ask to teach our other summer programs, present at conferences and lead professional development workshops. English, social studies, science, mathematics, world language teachers, and all teachers of multi-lingual learners — this Project is for all of us! A fellowship covers full tuition for the four-week workshop, plus a $200 stipend. Provide a cover page with your contact information: name, home address, phone, email address, name of school, current grade level and subjects taught. For the Subject line of your email, please write your first and last name, Invitational Application. Introduce your students. Who are they and what do they bring to your classroom? Describe and reflect on a writing lesson or strategy that has worked well (2-3 pages). Describe yourself as a writer: i.e., your experiences, your joys, your hesitations (1 page). You will be asked to describe your lesson in a small group interview to be held March – April 2019. We are able to offer 18 fellowships.